Beyond the Dark Portal, the clash of iron echoes as two worlds brace for war. 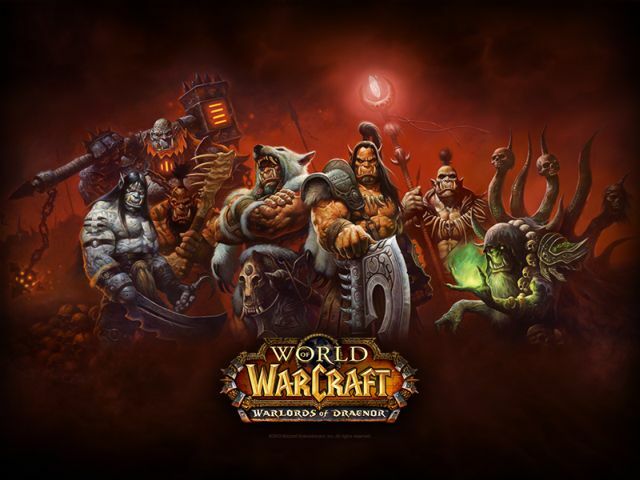 At a live event in Los Angeles and simulcast at the gamescom trade fair and around the world, Blizzard Entertainment today announced that Warlords of Draenor™, the fifth expansion to its acclaimed massively multiplayer online role-playing game World of Warcraft®, will be unleashed on November 13, 2014. On that day, players worldwide will begin their march into the perilous wilds of Draenor to face the fury of Grommash Hellscream’s merciless Iron Horde. During the previous event, Blizzard also unveiled the opening cinematic for the expansion, which depicts a pivotal moment in Warcraft history and sets the stage for the coming war. In addition, the company premiered the first episode of Lords of War, a new animated lore miniseries that introduces players to characters central to the expansion’s story—starting with the twisted tale of Kargath Bladefist, legendary leader of the Shattered Hand orc clan. Both videos are available to view now at www.worldofwarcraft.com, and new Lords of War episodes will debut there in the weeks ahead. Warlords of Draenor adds a world’s worth of exciting new content for World of Warcraft players to discover. As Azeroth’s displaced heroes venture across Draenor, they’ll build and manage a mighty Garrison, a customizable fortress that grows with them on their journey; delve into otherworldly draenei temples and clash in the heart of hostile orc clans’ territory; fight the opposing faction for control of Ashran, a huge and dynamic PvP zone featuring a variety of personal and cooperative objectives; and take on a wide array of Dungeons, Raids, Battlegrounds, Challenge Modes, and more. No matter what kind of content you enjoy, your legend is waiting to be forged on Draenor. Weekly Recap #255 Aug. 31st - Gigantic, Atlas Reactor, LawBreakers & More!